ShockYa: Seemingly not many action films would allow for the sort of overt emotionalism that marks the final act of Assassination Games, when we see a tear pass across your character’s face (and another charged scene with Scott Adkins’ character). Do you think that necessarily reflects a change in the tone/tenor of action movies now versus the 1980s and ’90s, or is that perhaps just a coincidence, and reading too much into things? Jean-Claude Van Damme: Your question is interesting since I think it really asks if the genre is changing. In action-dramas this type of character performance has been relatively common, but in straight action movies character development and overt emotion have often been lacking. There is certainly some degree of change occurring, and I think it is an improvement. The idea of showing a human side to a character as opposed to one-dimensional “slam-bam” is overdue. The director of Assassination Games is a very good director, with a broad background. This gave me a chance to stretch my acting chops a little bit, and I really enjoyed it. I look forward to seeing more of this type of [character development] intercut in action films. ShockYa: Assassins make somewhat popular movie characters, because of course they’re dark and interesting, and people can vicariously live out that sort of intrigue or violence, whereas in real life it would likely be quite nasty and isolating. When you’re doing a film like this, do you necessarily work out a backstory for your character, or does it not really matter as much as what unfolds on screen, between [the characters]? JCVD: Well, I have never actually been an assassin, although I suppose a couple waiters in restaurants over the years might disagree. A backstory in that sense is only as good as my own imagination. A sense of the character is driven by both the story, the director and the actor’s own sense of the character. I had in my mind a sense of who I felt Vincent Brazil was, and I often considered how Vincent might see things while I was off the set. Movies, as we know, are often stylized, so in that sense you have the latitude to do something cool — which, as you observed, is probably not the case with a gainfully employed assassin. ShockYa: What level of involvement do you have in plotting/choreographing the action scenes in a movie like Assassination Games, and how (if at all) has that changed over the course of your career? Did you used to be more/less involved? 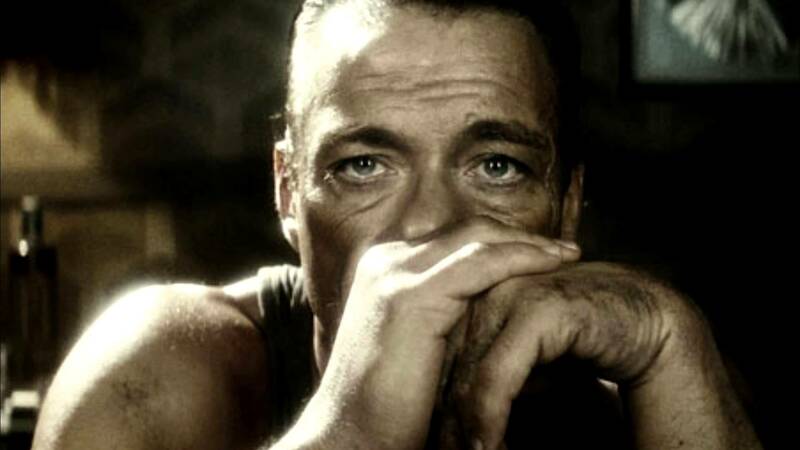 JCVD: I am a bit crazy when it comes to action scenes, and I always have been. I studied from age 12 under Claude Goetz, who is a perfectionist, and that in turn caused me to be a perfectionist. I am very fussy about movements, position, and the realism of action moves. I am always involved in planning the action scenes, and sometimes to the chagrin or I hope appreciation of a director, I am equally involved during editing, to ensure that an action scene looks the way I think it should. Over the years, I have gained more experience, and I hope that translates into what I am able to contribute to a film. The Smurfs has a 0% rating on Rotten Tomatoes, Yikes!